Ceremony Of Innocence. Austria Issue - 2007 W.A.R. Productions - Cat # n/a. Rest of the World - £5.45. UK 2nd Class - FREE. 1 Heartbroken (Radio Edit) 3:00. 2 Heartbroken (Extended Mix) 6:40. 3 Heartbroken (WAWA Club Mix) 7:56. 4 Heartbroken (Thomas Gold Remix) 7:44. CASCADA - Miracle - CD Single. Miracle (Radio Edit). Miracle (Extended Version). Of Discs: 1 disc(s) Studio / Label: Data UK Release Date: 05 Mar 2007. HOOJ CHOONS - HOOJ125CD. IN THE UNDERGROUND. In The Underground - Original Mix 6.20. In The Underground - a-J-Scent Remix 7.09. In The Underground - Paul Woolford Remix 10.42. In The Underground - Daniele Tignino Dub Mix 8.39. THE CHEMICAL BROTHERS - DO IT AGAIN (CD Single). With picture insert in a slimline case. Do It Again (Edit). With Love [cd2] CD (2007)Title: With Love [cd2] Genre: General|tbc Duration: 9.11 mins Format: CD / Single Type: CD No. of Discs: 1 disc(s) Studio / Label: Angel UK Release Date: 19 Mar 2007. Condition: CD is in mint condition, cover is in very good condition. 2007 Fiction Records. 3 Gonna Be Mine (Soul Seekerz Ska Mix) 8:34. 4 Gonna Be Mine (Soul Seekerz Club Mix) 8:09. 6 Gonna Be Mine (T2 Get Darker Remix) 5:02. 1 Gonna Be Mine (Simmons & Christopher Remix) 7:06. 2 Gonna Be Mine (Simmons & Christopher Dub) 6:35. Chemical brothers –The Salmon Dance. The Salmon Dance (Edit). Electronic Battle Weapon 8. freestyle dust ‎– CHEMSD26, virgin ‎– 5099950339020. 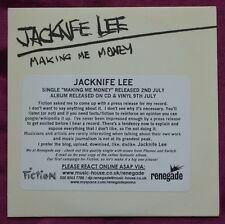 Promo CD-r single on Columbia label in card sleeve. 2 Keep On Jumpin (Fonzerelli Remix). 1 Keep On Jumpin (Radio Edit). 3 Keep On Jumpin (Original Extended Mix). 4 Keep On Jumpin (Electro Mix). Artist: CALVIN HARRIS. Title: ACCEPTABLE IN THE 80S. Label: COLUMBIA. Year: 2007. Possible Side Effects 2:28. At Least We Tried 2:26. Industrial Estate 2:36. Depth Perception 2:29. Fashionably Glitched 2:39. Brief Encounters B 2:28. Brief Encounters A 2:35. How Computers Dance 2:40. Husky Rescue - Nightless Night - RID054CDS. 1 Nightless Night (Original Radio Edit) 3:44. 2 Nightless Night (Fink Remix) 4:25. 3 Nightless Night (Justus Köhncke Remix) 7:01. 4 Nightless Night (Black Grass Remix) 5:06. PAUL VAN DYK. White Lies. White Lies - Radio Edit. White Lies - Berlin Mix. White Lies - L.A. Mix. White Lies - Dave Spoon Mix. White Lies - Aural Float Remix Long. Paul Van-Dyke. Of Discs: 1 disc(s) Studio / Label: EMI Music UK UK Release Date: 08 Oct 2007. Be Without You CD (2007)Title: Be Without You Genre: General|tbc Duration: 39.50 mins Format: CD / Single Type: CD No. of Discs: 1 disc(s) Studio / Label: All Around The World UK Release Date: 05 Mar 2007. Artist: YVES LAROCK. Title: RISE UP. Format: CD. Year: 2007. It Will Find You CD (2007)Title: It Will Find You Genre: General|tbc Duration: 15.30 mins Format: CD / Single Type: CD No. of Discs: 1 disc(s) Studio / Label: Mute UK Release Date: 30 Apr 2007. Rain Down Love CD (2007)Title: Rain Down Love Genre: General|tbc Duration: 24.50 mins Format: CD / Single Type: CD No. of Discs: 1 disc(s) Studio / Label: Loaded UK Release Date: 08 Jan 2007. Artist: KELIS. Title: LIL STAR. Year: 2007. Label: VIRGIN. GROOVE ARMADA. Groove Armarda. UK £0.00, extra copies add £0 per item. UK Parcel Force 48 hour £9.50, extra copies add £9.50 per item. Get Down - featuring Stush & Red Rat - Stretch & Form Remix. Get Down - featuring Stush & Red Rat. Artist: FREAKS. Label: MINISTRY OF SOUND. Year: 2007. Lonely Hearts (Radio Edit) 3:06. Lonely Hearts (Album Version) 4:34. Lonely Hearts (Loving Hands Remix By Tim Goldsworthy Edit) 5:50. Of Discs: 1 disc(s) Studio / Label: Data UK Release Date: 30 Apr 2007. Disco Punk Electro Funk 3:12. Disco Punk Electro Funk (Cosche & Paul Mix) 5:20. Disco Punk Electro Funk 3:12. Great collectors item:- promotional CD as given to Radio Stations and Music Reviewers, limited availability. 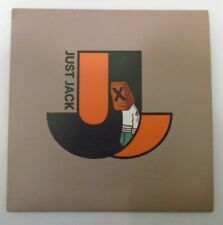 CD in mint/near mint condition in cardboard slipcase. Artist: NATASHA BEDINGFIELD. Title: I WANNA HAVE YOUR BABIES. Label: EMPIRE. Format: CD. Year: 2007. Label: RELENTLESS. Artist: UNION OF KNIVES. Title: EVIL HAS NEVER. Year: 2007. Jealous Girls (Radio Edit) 3:06. Jealous Girls (Live Version) 3:12. Great collectors item:- promotional CD as given to Radio Stations and Music Reviewers, limited availability. CD in mint/near mint condition in jewelcase with press info sticker on reverse. (Taken from his Ghettoblaster album this single features the Radio Edit Original Version Detriot Remix and Prince Language Remix. With picture sleeve ECB113CDS). ARMAND VAN HELDEN. UK Parcel Force 48 hour £9.50, extra copies add £9.50 per item. UK £0.00, extra copies add £0 per item. UK Parcel Force 48 hour £9.50, extra copies add £9.50 per item. REST OF WORLD [INC CANADA] £3.85, extra copies add £1 per item. We have offices near London in the UK, Las Vegas in the USA, Hiroshima in Japan. Nyc Beat CD (2007)Title: Nyc Beat Genre: General|tbc Duration: 38 mins Format: CD / Single Type: CD No. of Discs: 1 disc(s) Studio / Label: Southern Fried UK Release Date: 28 May 2007. 1 1 NYC BEAT (Radio Edit). House Clouds CD (2007)Title: House Clouds Genre: General|tbc Duration: 9.36 mins Format: CD / Single Type: CD No. of Discs: 1 disc(s) Studio / Label: Mute UK Release Date: 29 Oct 2007.